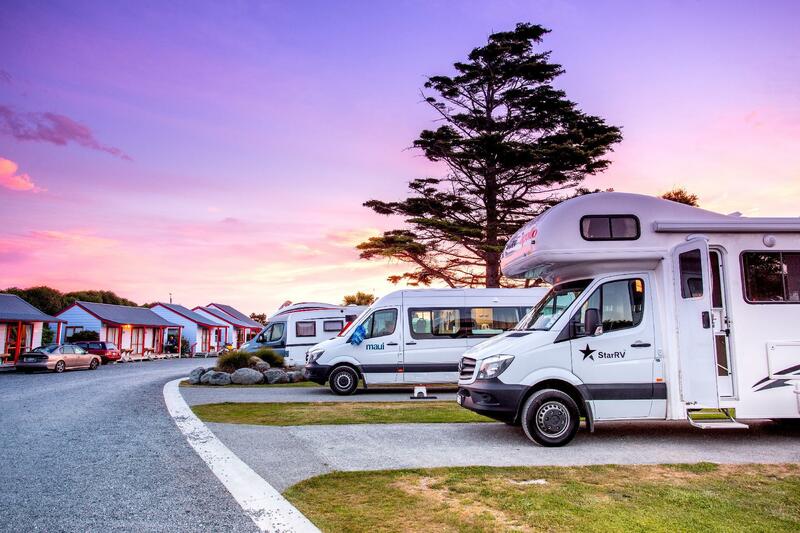 إذا كنت تبحث عن فندق بموقع جيد في كايكورا، فقد وجدت ضالتك في Kaikoura TOP 10 Holiday Park . يقع الفندق على بعد 0.4 Km من مركز المدينة، ويؤمن الوصول إلى أهم مراكز المدينة. يضفي محيط الفندق اللطيف وقربه من وول ووتش كايكورا, Southern Paua Shop & Factory, Kaikoura Cheese سحراً خاصاً على هذا الفندق. إن حسن الضيافة والخدمات الراقية التي تعرف بها TOP 10 Holiday Parks تغني تجربتك في Kaikoura TOP 10 Holiday Park. لضمان راحة ضيوفه، يقدم الفندق الخدمات التالية: مرافق مخصصة لذوي الاحتياجات الخاصة, واي فاي في المناطق العامة, صف السيارات, غرفة عائلية, جولات . ادخل إلى واحدة من الغرف 30 وتخلص من عناء نهار طويل بمساعدة مجموعة كبيرة من الخدمات كمثل تلفزيون بشاشة مسطحة, اتصال لاسلكي بالإنترنت, مسبح خاص, اتصال لاسلكي بشبكة الإنترنت (مجاني), غرف لغير المدخنين الموجودة في بعض الغرف. يقدم الفندق مجموعة رائعة من الخدمات كمثل حمام سباحة خارجي, سبا, حديقة، لجعل إقامتك تجربة لا تنسى. يحظى فندق Kaikoura TOP 10 Holiday Park بموقع ممتاز وخدمات يصعب منافستها. 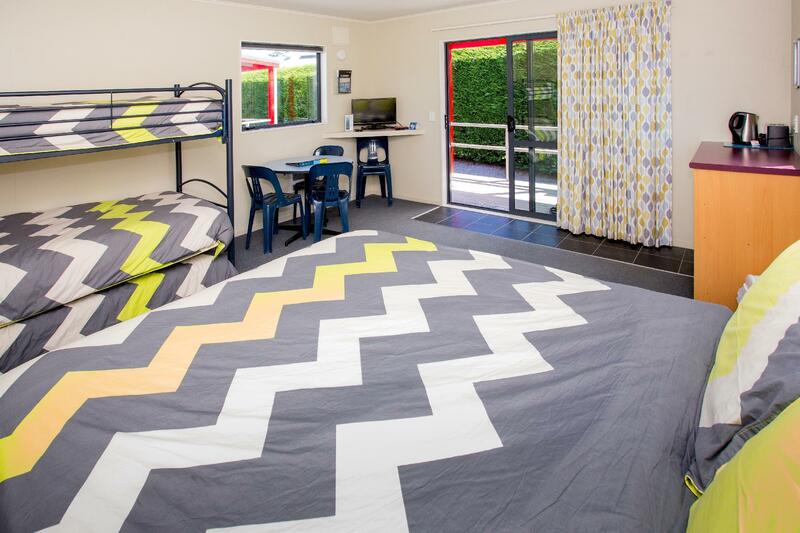 Located close to the town and shops the top 10 holiday park was perfect for our stay to explore Kaikoura. Very friendly staff and lovely having the hot spa for the chilly nights. Was only there for a very short time but had everything we needed and was clean and tidy. Staff were great. Our 2BR was spacious and clean, comes with decent cooking facilities. Used the laundry service, it’s at community area but powerful dryer, dried up a big load within 40 minutes with reasonable pricing. It’s a busy holiday park so constantly there are big buses and caravans driving past. Great to hear that you enjoyed your stay with us! We look forward to having you back to stay in the not so distant future. What an awesome review Sufiah - thanks so much! We're glad you had a great stay with us. You hear people speaking or other sounds from the next room through the wall. It's particularly annoying if the person next door plays radio for 4 hours in the evening and then from 6am. Also some noise from heavy vehicles on main road overnight. Nice setting in the park, nice views and good standard bathroom. However, you need to activate the hot water for shower by pressing a button, and it would be good to say how long the hot water will last! Very nice place, we got a separate cabin, which was spacious, warm and comfortable, staff super friendly and helpful. Hot tub was a highlight on a rainy autumn day, make sure to book early! The only small issue that shared bathroom is in a different building, it's chilly to walk during late autumn or if it's raining. However once inside the facilities very warm, well-equiped and clean. Kitchen is nice and large, but without equipment, it's 5$ to rent the whole kit for the whole stay. Nice place to stay, the units are clean well looked after, ideal location to walk into town, very pleased with our stay there. Thanks for your nice review. Pleased to hear you enjoyed your time here with us in Kaikoura. I had already paid the room with Agoda but was forced to pay extra a person to a rude staff in arrival. Didn’t feel welcome at all. Busy camping nothing special though. Good hot pool and games for older kids. Boring town but nice view. Don’t go whale watching if the sea is rough (seasickness). My experience of Kaikoura it is a big rip off, everything is expensive and there isn’t anything you can’t do in other cities really. Better to stop and take photos and move on to more interesting areas. Hi Anna, Thanks for taking the time to leave feedback on your stay with us. We apologise that the experience you had was not what you had envisaged for your time in Kaikoura, and that you felt that the staff member was rude to you upon checking in - it is never our intention for a guest to not feel welcomed when they arrive. We apologised for the miscommunication on our part and as a result you paid half of the additional charge that you should have incurred for your extra child, a reasonable compromise given the circumstance. Unfortunately sea conditions are beyond our control and seasickness is always possible on marine based tours - especially given the distance that the whale watching boats travel out to see. Should you have any further comments, please don't hesitate to contact us. Thank you. We stayed one night & glad that it was only one night. We rented a self-contained unit which has ensuited bathroom & kitchenette. The cleaniness should have been improved as the container for shampoo is stained with black mold, the bathroom door is spoiled. 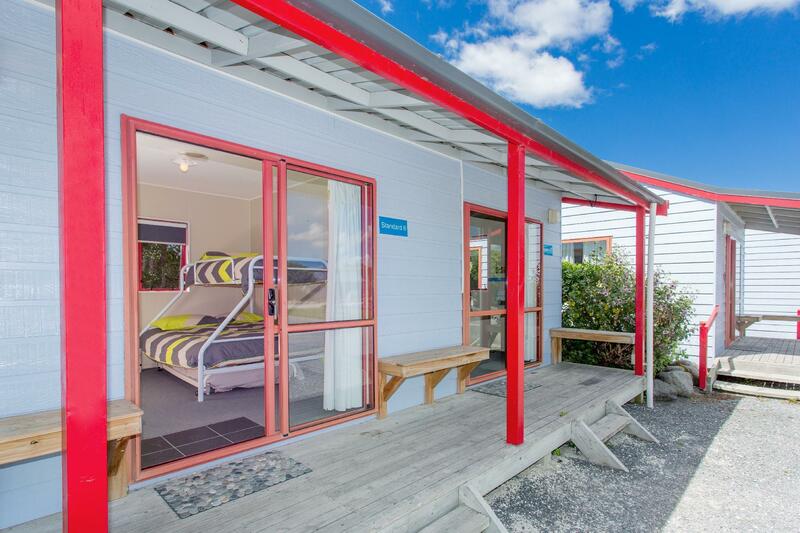 Location is good we would say, less than 5 mins walk can access to Kaikoura City Center. Hi Jing, Thank you for taking the time to leave us feedback. We are disappointed to hear that the standard of cleanliness did not meet your expectations - we pride ourselves on having very clean rooms. We have asked our cleaning staff to check each of the units with shampoo containers in the room so that we don't encounter the same problem again. We hope that this won't deter you from staying with us again in future. We had no kitchen utensils or towels but could hire it all. A pity the hot tub was out of order. Staff was very friendly at check in and check out. Communal facilities were reasonably clean. Perfectly situated for the Whale excursion. Stayed in a beautiful room, with excellent services. Used the common kitchen for cooking as well. Enjoyed our stay here. Place is well maintained and staff was great! Good location,great units,so handy to everything. it was raining throughout the day that we have to postpone our whale watch 3 times.luckily the staff is friendly enough to help us book and change the timing as we requested.